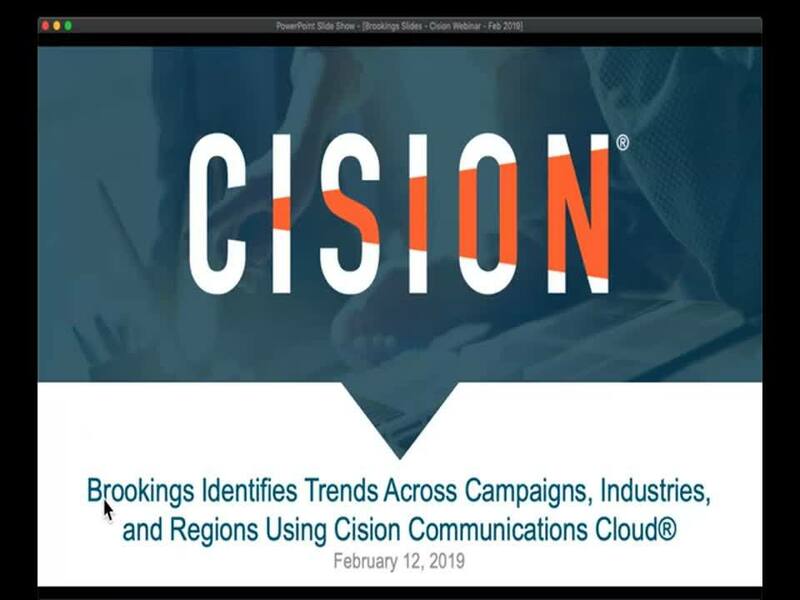 Join us for a 30-minute presentation with Brennan Hoban from The Brookings Institution and Lee Ribeiro, Product Marketing Manager at Cision, showcasing a tangible success story using Cision Communications Cloud and how you can replicate that success in your own communications strategy. Brennan Hoban is a Communications Manager at the Brookings Institution, where she manages the organization’s external media relations. She has a degree in International Relations and Political Science from American University, where she graduated from the University Honors Program. Brennan is originally from New York. She is passionate about finding engaging, creative ways to share complex data and public policy ideas. Lee is a Product Marketing Manager at Cision, where he manages content and communication channels between product and sales teams regarding product updates, new features, and positioning towards B2B and B2C audiences.